After a three year lifespan, it’s almost time for Dodge Roll Games to close the book on Enter the Gungeon. The update, aptly titled “A Farewell to Arms,” will launch on April 5, 2019. It brings plenty of new content that will let this beloved game ride out into the sunset in a fitting way. The update introduces two new playable Gungeoneers: The Paradox and The Gunslinger. However, there will be plenty of gameplay additions, as well. 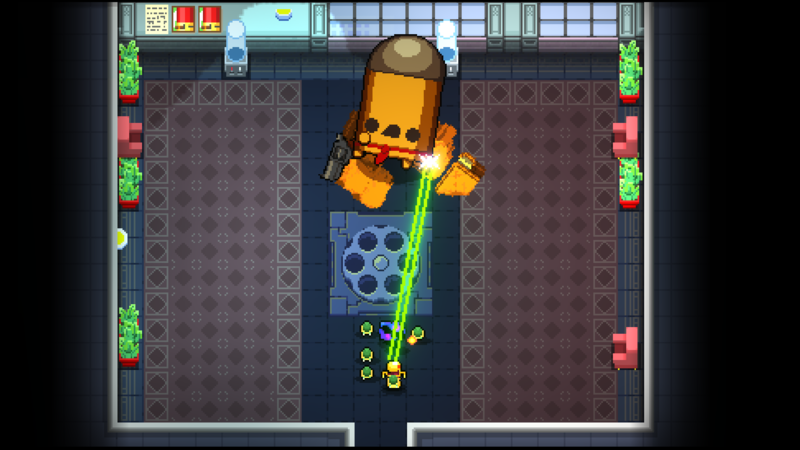 Enter the Gungeon players will discover new guns to use when this update go lives. There’s also a new secret floor for players to discover, which houses a mysterious “devious boss.” There will also be some general gameplay tweaks and improvements as part of the update. A new mode, known as “Rainbow Mode,” will also be introduced. The mode will test the skills of even the most well-worn Enter the Gungeon players. 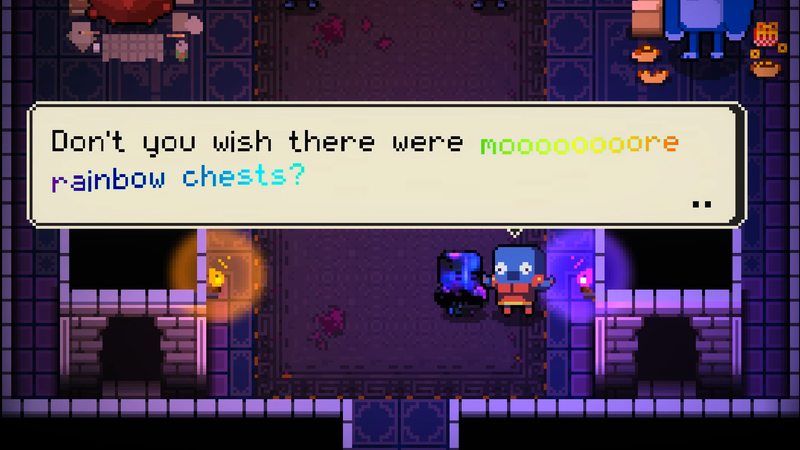 In it, each level begins with the drop of a Rainbow chest. Players will only be able to take one gun or item from the chest, and that will be the only item they can hold onto. While players can get general pick-up through their run, they can’t get any other items, so prepare carefully before you start your run. This new update is the final addition to Enter the Gungeon. Back in 2018, Dodge Roll Games announced it was going to stop working on the game, which was its first release. The studio wants to focus on new projects, as well as work on a game that has a more stable foundation than Enter the Gungeon. The decision was made following the release of the major “Advanced Gungeons and Dragons” expansion. “A Farewell to Arms” will be free for all players, meaning everyone will have a chance to experience Enter the Gungeon’s last hurrah. The update goes live on April 5, 2019 for the PlayStation 4, Xbox One, Nintendo Switch, and PC.